An elegant Rose Plant presented in a very tasteful pot. 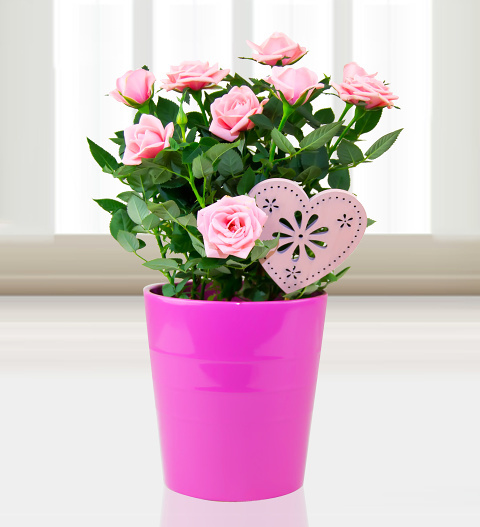 Our potted Roses are the ideal gift. The luscious array of beautiful roses are naturally perfumed and are sure to bring delight. Our Classic Rose plant comes with a FREE box of British crafted chocolates and is available for UK next day delivery.